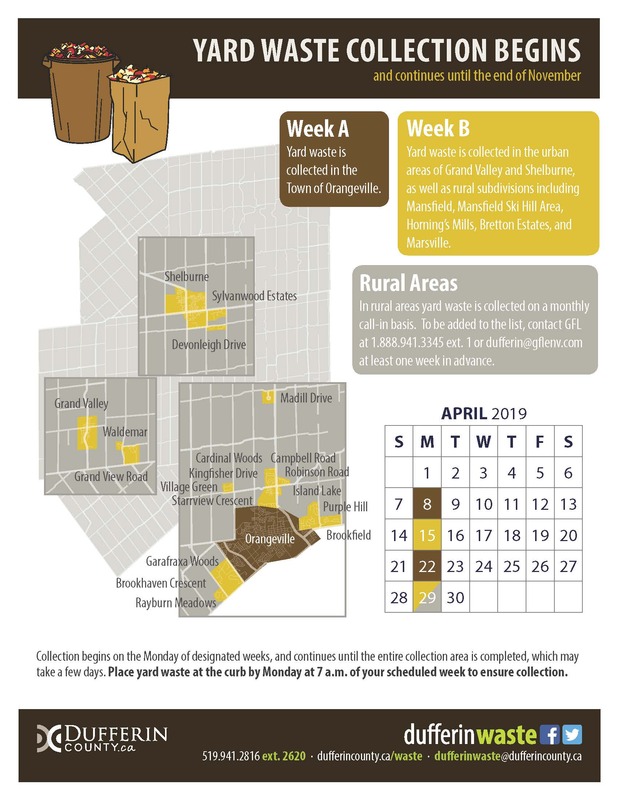 Yard waste collection begins on the Monday of designated weeks, and continues until the entire collection area is completed, which may take a few days. Place yard waste at the curb by Monday at 7am of your scheduled week to ensure collection. 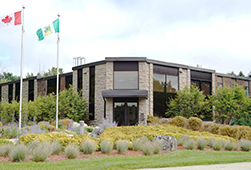 In rural areas, yard waste is collected on a monthly call-in basis. To be added to the list, contact GFL at 1-888-941-3345 or dufferin@gflenv.com at least one week in advance.